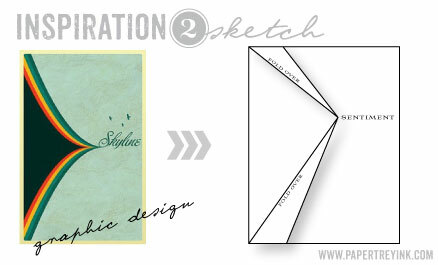 This week's Make it Monday Challenge is to use one of the inspiration sketches to make a card. Sketches usually aren't my favorite thing, but I really liked this one. I decided to make my flaps fold back on my card like Nichole did with hers. i have no idea where my rhinestone brads are from, maybe sei? 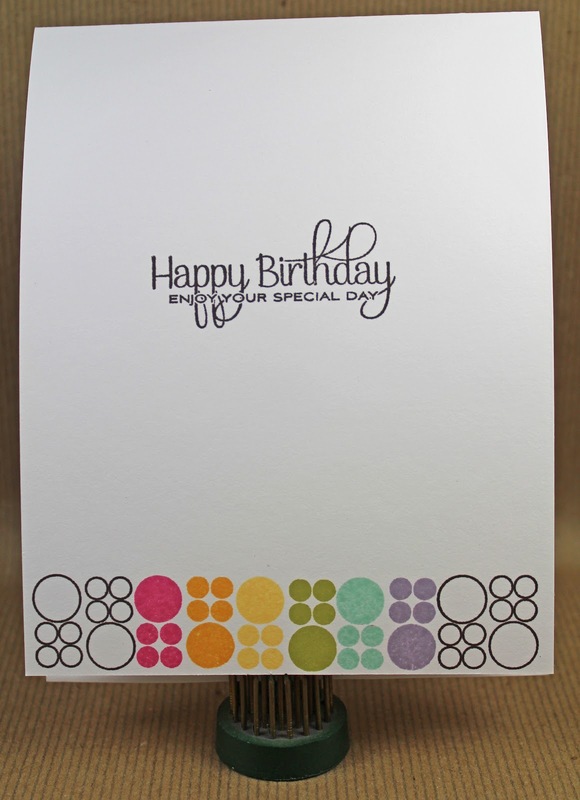 Love your rainbow stamping. 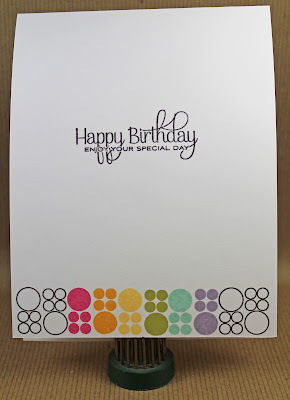 Great card and envelope to match. such a wonderful take on the sketch! love your matching envie, too! 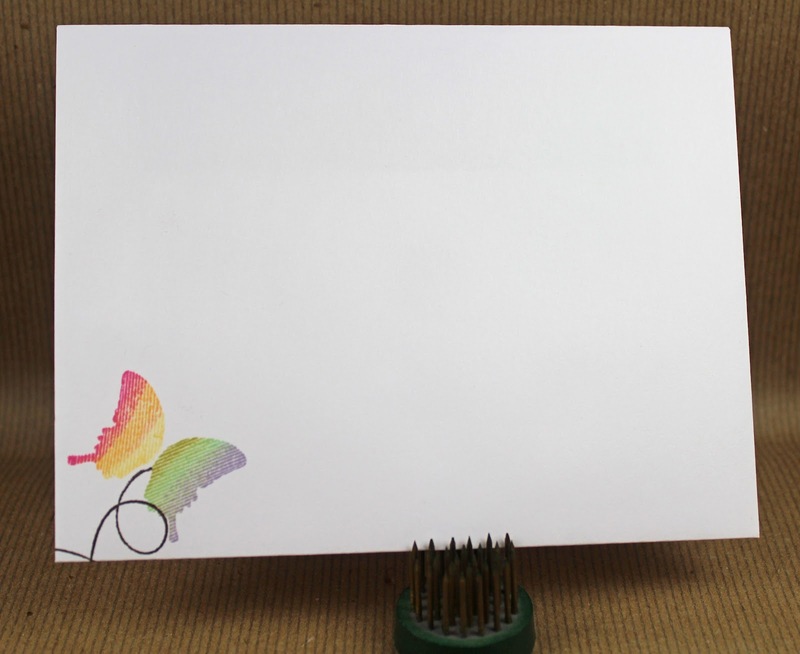 Love the rainbow and the envelope just makes it all the more special! Awesome! I love this, hope it's ok if i pin to my board. It makes me happy just to look at it. What an amazing card and envelope. I love the color and how everything coordinates. You rocked it! Love the rainbow colors! Adorable!! 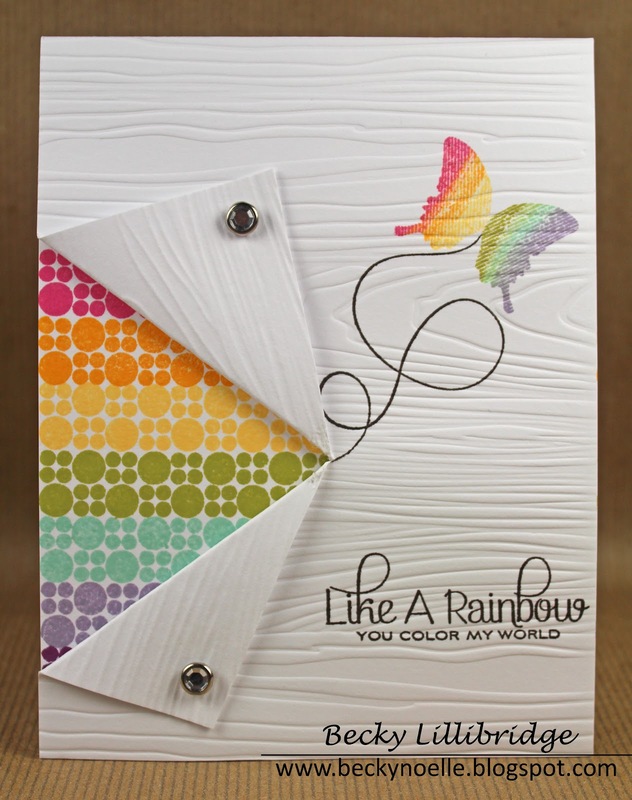 I love the combo of the rainbow along with the butterfly and trail- inspired! Your card is fabulous. I think it was worth the 5 attempts. Love the woodgrain. Your rainbow is perfect. Love the butterfly too! This card is absolutely gorgeous! I love the sentiment and all the colors! Great job! This is really pretty. Love the colors. Very pretty! I love the white space and the rainbow colors on it! Love all your little extras- inside the card and the envelope!